Write the word under the picture. This printable, downloadable handout is recommended for elementary school students at Elementary (A1) level. 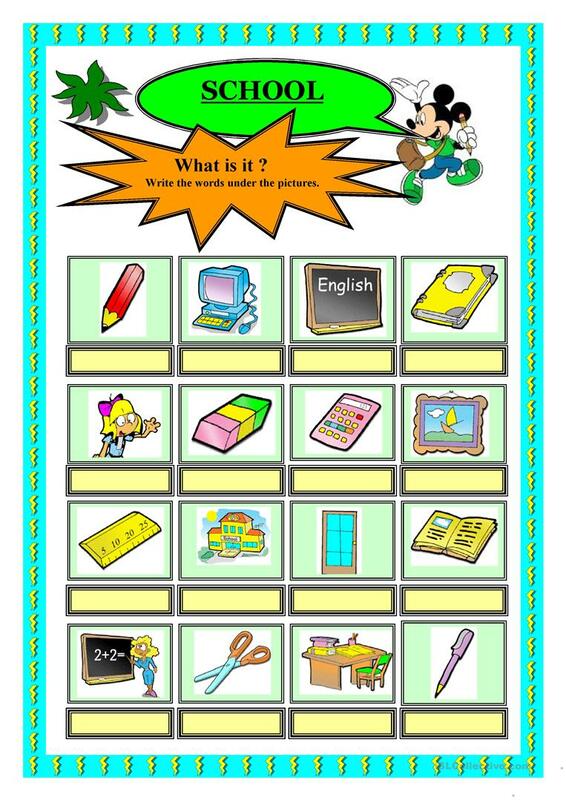 It focuses on the vocabulary topic of School.